DUCATI single-phase capacitors constitute another proposal of TME in the field of power coefficient improvement. 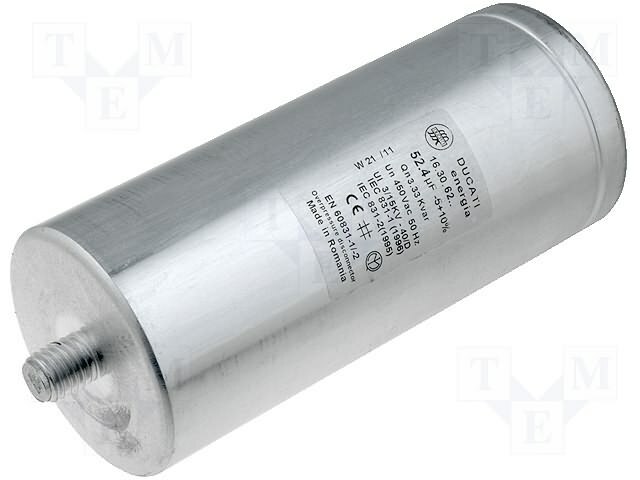 FLOPPY CAP capacitors are equipped with metal enclosures, closed from the connectors side by means of non-combustible material cover. They are also equipped with over-pressure protection.